Good morning! Earlier this week we celebrated my youngest daughter's 12th birthday - I can't figure out where the time has gone! This time next year I will have two teenagers - yikes! So...when you make cards the way I do, your kids expect a special card for their birthday, and with the past couple weeks of crazy life, I wasn't able to sit down to make this until the night before her birthday. 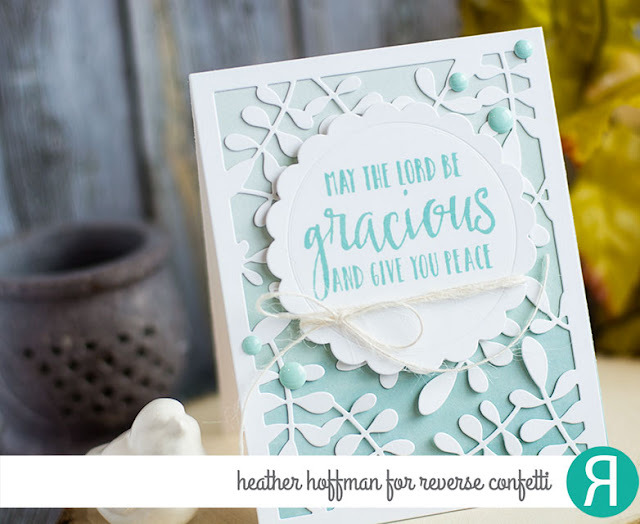 I love to take the things they love and make their cards super personalized for them. 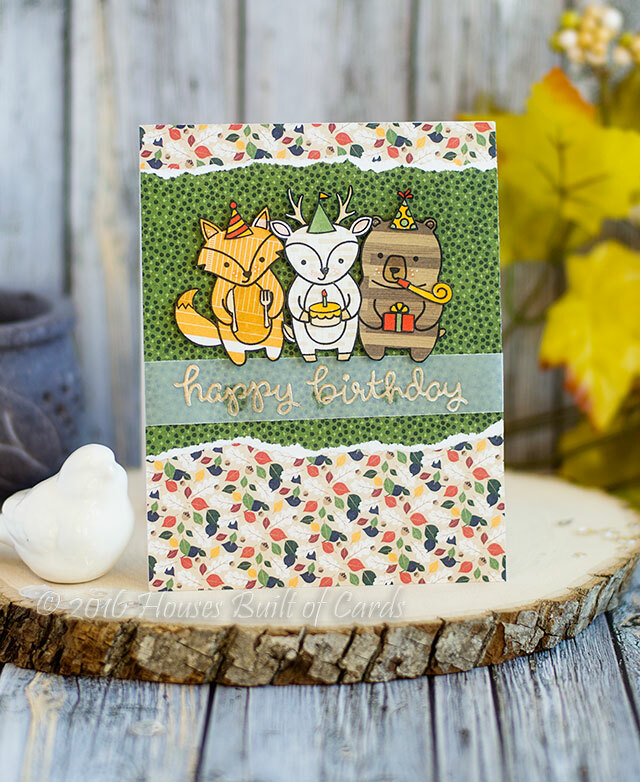 This card I was inspired by her love of animals - she particularly loves wolves at the moment, but I didn't have any wolf stamps in my stash, so this had to do! She also is proud of that fact that her birthday is in the fall, so I definitely had to incorporate that! I actually used a Lawn Fawn set that she had chosen earlier this summer, wanting to make birthday cards for her friends. It hadn't even been used yet - so it was the perfect opportunity. 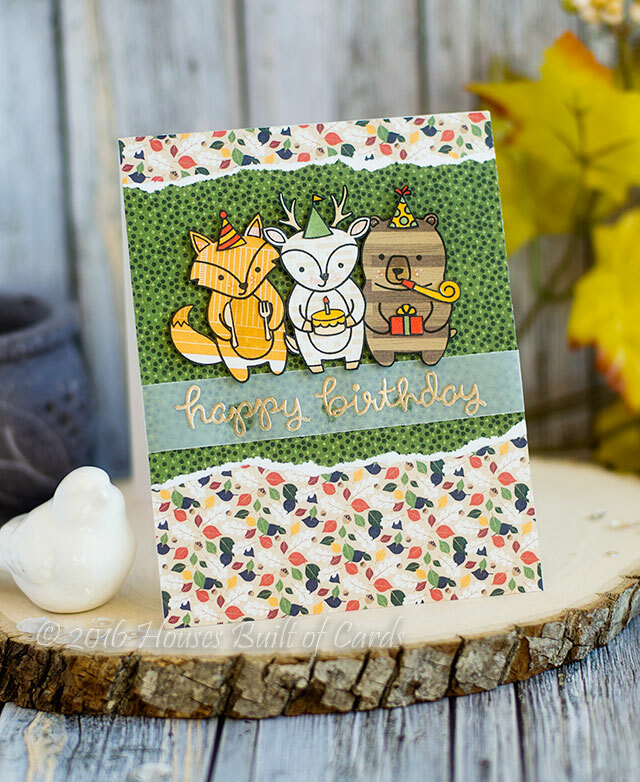 I stamped the critters on pattern paper, fussy cut out, then stamped several of the accessories on white cardstock, colored with Copics, and also fussy cut out to adhere together. Sentiment was stamped and heat embossed on vellum, then I adhered the critters over the top with foam adhesive. Good morning - so sorry I'm pretty much a week late of what I planned on to announce a winner for the extras from the Simon Says Stamp Special Card Kit Hop - the Halloween stamp set and some of the embellies! Congrats Tracy! 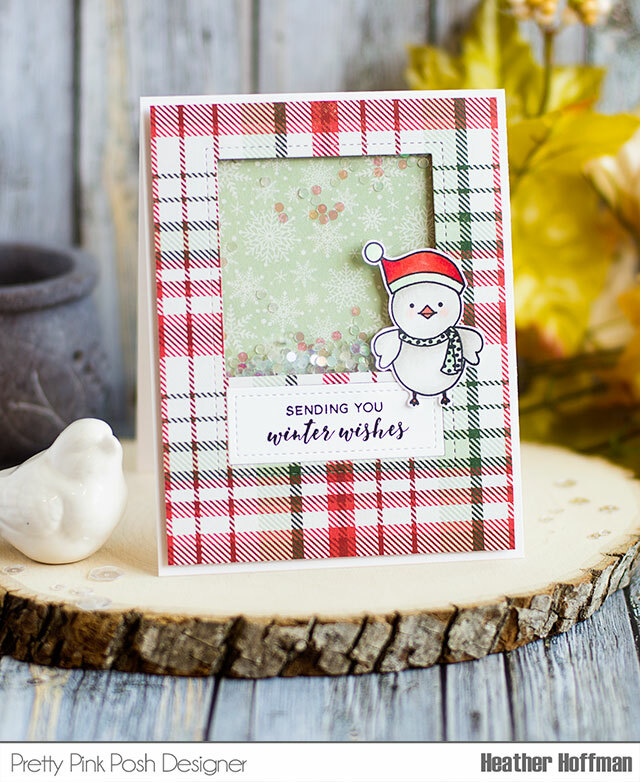 Please send me an email as soon as possible at housesbuiltofcards@gmail.com with your mailing address, and I will get those goodies dropped in the mail to you as soon as possible! Thanks so much for all the comments and for playing along - have a wonderful day! 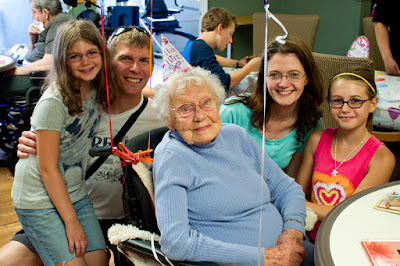 She was an amazing woman, who loved the Lord and wasn't afraid to tell anyone about it. She had more pluck than any woman I know half her age, and until the past several days was both the oldest AND healthiest resident in the nursing home she was staying in! We often referred to her as "ninja grandma" - her reflexes seemed to never slow down. She adored cherries and strawberries for as long as I can remember - and we often brought her chocolate covered cherries from Trader Joe's. Then we would laugh as she talked about trying to hide them because everyone who saw them wanted one and she didn't want to share! She will be missed, but we are also so happy that she finally got her wish to join my Grandpa and the Lord in heaven. I used some soft pattern paper to back Leaves Cover Panel Die, then cut a frame with Circles and Scallops Die Set. 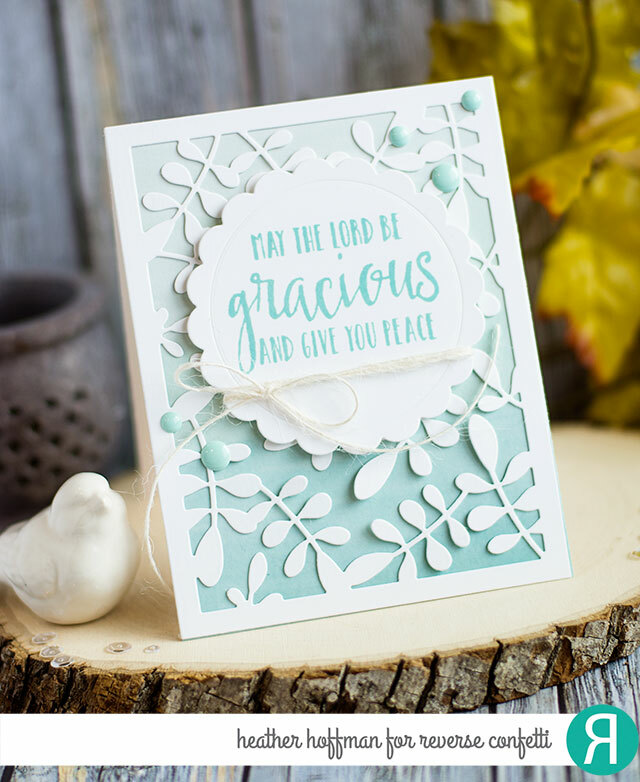 Finished with a new favorite sympathy sentiment from The Lords Strength. 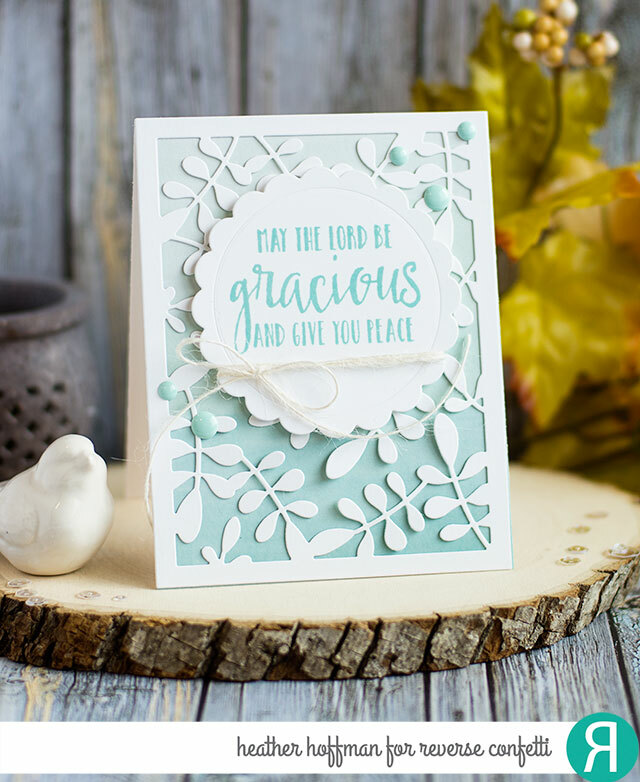 A few enamel dots and some ivory jute twine finish this off soft and simple. Good evening! 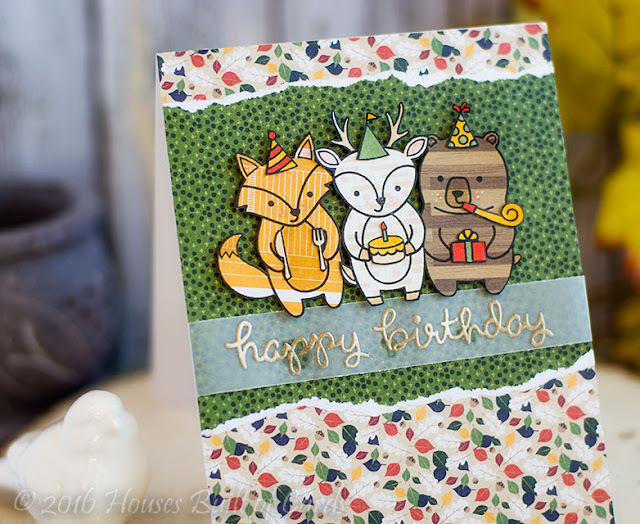 I posted this card last night using the adorable new STAMPtember collaboration between Pretty Pink Posh and Simon Says Stamp - SOOO crazy cute! You can find it HERE if you're interested - and promised to fill the post in better this morning. Some crazy events in the last couple days sort of set me off balance and I lost track of the days. The past couple days we thought we were preparing to say farewell to my Grandma who is 102 - and whie she has definitely lived a very long, full, and wonderful life, it is never easy to say goodbye to someone. I stopped by to see her a couple days ago, and she never woke up - I was able to sit with her a bit, give her a kiss, and say goodbye. I didn't expect her to even wake up again. However - yesterday I heard she was awake and wanting to be put in her wheelchair! She is one plucky lady I'll tell you that! But we'll gladly keep her around as long as possible! Then, last night there was a tragic shooting at our local mall - about 15 minutes from our house. The entire community we live in is still reeling from the news. Currently 5 people have been confirmed dead, and they still have not caught the shooter. Prayers for all those affected are greatly appreciated I know. It still kind of doesn't even feel real yet...and so incredibly sad! That is just a small slice of this weeks emotional roller coaster! Now on to some more info on this card! I created a shaker card with some plaid pattern paper and Pretty Pink Posh's Storybook 5 Die and filled with Iridescent Mini Circle Confetti. I matched the color of my birdie to my pattern papers - I love doing that so my stamped image coordinates perfectly. I used to color my images, then try to find matching paper - this way is SOOO much easier! Reverse Confetti September Release - Blog Hop!